Are GM foods labelled in Australia? Food to be eaten immediately, ie from any sort of food service outlet including canteens, escapes GM labelling. Highly refined food such as oils, sugars and starches derived from GM crops ie canola oil or corn syrup do not need labelling. This is because it is assumed that GM DNA and proteins are not present in the food. DNA and proteins are what can cause food allergies. DNA and proteins are present in oils and our food regulator (FSANZ) knows this. In the Full Assessment Report of GM Canola (GT73) total protein found in the refined oil was 0.29 parts per million (p25). This figure is typical of the level of protein in refined oils. This explains why people allergic to peanuts are often allergic to peanut oil as well. These also do not need to be labelled unless GM DNA or protein is present. Food contaminated by a GM ingredient or processing aid does not need to be labelled if the contamination is less than 1% of the food. Since most ingredients are considered to be highly refined they escape labelling. 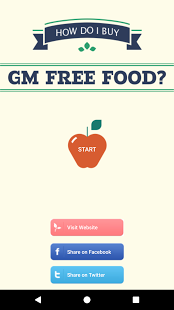 Additives and processing aids that contain GM as detailed in the list provided under the heading 'food additives' further down the page, also escape labelling as in general they are present in small amounts. The exceptions are if for example you buy a packet of soy lecithin, if it is GM it must be labelled. However the same ingredient when in a chocolate bar will not need labelling if it is less than 1% of the ingredients. Food from animals fed GM feed Milk, meat, eggs, fish and honey from animals fed GM feed does not have to be labelled. Buying organic or grass fed animals is the only way to guarantee non-GM feed. Since April 2004 the European Union has required mandatory food labelling where GM has been present anywhere in the production process. It requires labelling irrespective of whether GM material is present in the final food. Animal feed containing GM is required to be labelled. The EU regulation on labelling is: Regulation (EC) No. 1830/2003. It provides a framework for the traceability and labelling of products containing, consisting of, or produced from GMOs. The food industry fought for years and spent millions to avoid labelling GM ingredients. The State of Vermont passed a labelling law that would effectively have meant mandatory labelling for GM food both within the state and outside because food is shipped all over the US. To avoid this the DARK Act was passed in 2016. Under this act most GM ingredients avoids labelling as, similar to Australia, only if 'genetic material' is found in the ingredient would it need labelling. Labels are also not requried if the ingredient could be obtained by conventional breeding. This means that fake vanilla produced via a GM bacteria or yeast, fed with sugar ('fermented') and grown in a vat, escapes labelling. This is also Australia's attitude to the new GM2.0 breeding. To combat this lack of information about GM ingredients the Non-GMO Project labels foods that conform to its Non-GMO standards. These are the fastest growing food labels in the US.